Voeckler blasts his way through Eau Rouge. Following qualifying, people thought it was going to be a battle between Ayrton Senna and Jeremy-Etienne Voeckler. However, Senna had a abysmal start and the same could be said from Voeckler, on which Alain Prost took advantage of that. He was dominating the early phase of the race, until he slipped up in the wet surface and crashed into the wall. From there, Jeremy-Etienne Voeckler dominated the race, and Senna was left with 2nd. The other McLaren of Berger closed the podium. For 4th and 6th, the Arrows-Zakspeeeds of Chris Dagnall and Brendon Cassidy respectively closed the points. In the middle was the Zakspeed of Alessandro Nannini after a solid perfomance. Williams was left with a sour taste as their cars didn’t score points, and Derek Warwick must be happy to have his car in the top 10. Infinite Improbability Drive Of The Race: Derek Warwick – took the Lotus to a new height in the rain. 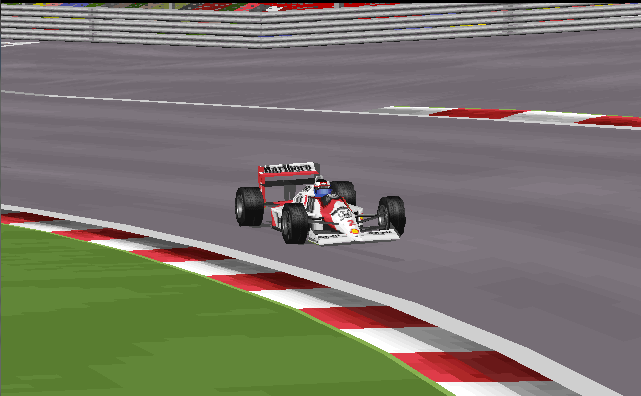 Reject Of The Race: Alain Prost – way to throw away a sure win.